AmidstStorm wrote: I have a fondness for DSIIX over this one. Probably because I bought it first and played the censored out of it. Still never hit massive scores. Perhaps 2 billion tops which isn't that great I dont think. I suggest we get some more high score threads set up. No one uses the high score section. Let's have a shmup makeover in here. Indeed, nobody uses it, and they should! 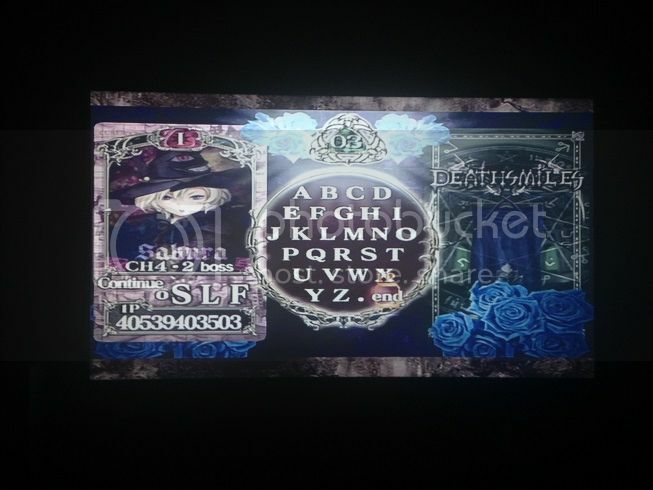 I think I at least posted a score over in the thread for Deathsmiles 2. Been awhile since I've played that one, come to think of it. Have only been playing DDP: R casually, but will see if I can get a decent score on it. The value of the item counter when you let off the bomb - if it's too low or high you won't get best results but IIIRC around 400 is fine most of the time. You can achieve this just by powering up at the right time but you have more control over it than you might think. While in power up mode the item counter decreases at different rates depending on what attack you're using; rapid fire reduces it the slowest, holding the shot button faster, and the lock shot fastest. The posistion of the familiar. When a bomb is let off a circle of destruction isntantly appears around your familiar - this is what you want to hit enemies. The rest of the bomb comes later and damages the whole screen but it's usually too late by that point. The volcano recharge is probably the easiest and most profitable one you can do - for that you want to be in the top left of the screen behind the wall before the big rock and have your familiar at 6-4 o'clock (I don't know what is optimum) and release the bomb as the green eye enemies come in from the right. All of this would be a lot easier if you could rewind replays on the 360. Wow, I havent the foggiest idea as to what any of this means.